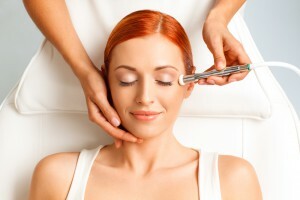 Microdermabrasion can be effective for all skin types, tones, and colors. This mild mechanical exfoliation gently removes the top layers of the epidermis by “buffing” the skin. It brightens your skin and helps to stimulate collagen and elastin production in the dermis for healthier-looking results. You may consider this treatment for superficial skin problems such as dull skin, rough skin, clogged pores, fine lines or wrinkles, brown spots, or mild acne scars. Here at The Personal Enhancement Center, our plastic surgeon, Dr. Christopher Godek, and his team use the latest technology with the Pristine Precision Diamond Peel System, which means the Microdermabrasion treatment at our New Jersey practice is designed to effectively and safely treat and minimize a range of skin conditions. These include age spots, discolored or uneven tone, congested skin, and common signs of aging. This hypoallergenic treatment eliminates the use of loose crystals, which create the dust that can cause skin and eye irritation. Microdermabrasion, in combination with a chemical peel, is often best suited for those who have sun-damaged skin, skin pigment problems, or thick skin. It is not ideal for those with active acne or thin skin. The full-body treatments are recommended for all skin types.